Paul exhorted Christians to take on or assume certain virtues and qualities befitting the elect of God. This is a difficult exercise unless one has been endowed with intrinsic attributes in this area. I’ve yet to come across anyone who has not struggled to some degree with this commission. We all are in the developmental stage and have not arrived spiritually. Tender mercies, kindness, humility, meekness, long-suffering, bearing with others and forgiving others . . . like clothes hanging in the closet, waiting for us to choose which to wear. Hmm, let’s see, I think I will put on tender mercies today; tomorrow maybe I’ll try meekness. Oh, I don’t think Paul intended his words to be so casually addressed. At one time or another we have probably tried all these on, ending up with egg on our faces. Tender mercies might be easy to wear with a family member we love dearly and understand fully, but wear it in the presence of an adversary and the mercies fall flat and lifeless. As I prepared this post, I tried to envision which virtue garment would be the one most tossed in the washer! Perhaps the humility one would stay the cleanest. Nah, with added thought, that might happen but only because of prideful thinking; not exactly what Paul had in mind. He’s down to the bone here, peering into the soul with a mega-lumen halogen light bulb. Now I’m in for a day-by-day, moment-by-moment lifelong exercise, as it should be. As when a person goes on a diet, the effort must become a daily habit in order to be effective. There’s no other way. Whether one dresses for other Christians or people in general, these virtues must be evident in our lives. Perhaps the fashion trend today is a good thing, multi-layering. Looks like I’m going to try it with this virtue accessory training. Let’s see now, what goes good with tender mercies? Kindness maybe? Or better yet, how about humility underneath the long-suffering? I think I have a long way to go here. How about you? This entry was posted in Devotionals and tagged Christ, Christian, forgiving, Jeanne Webster, kindness, long-suffering, love, meekness, PATIENCE, Paul, tender mercies, virtues. Jeanne – You have a magnificient way with words and you always get me thinking. This piece is magnificient. In helping my parents prepare for a garage sale, I am attempting to rid my closet(s) of some unwanted items. 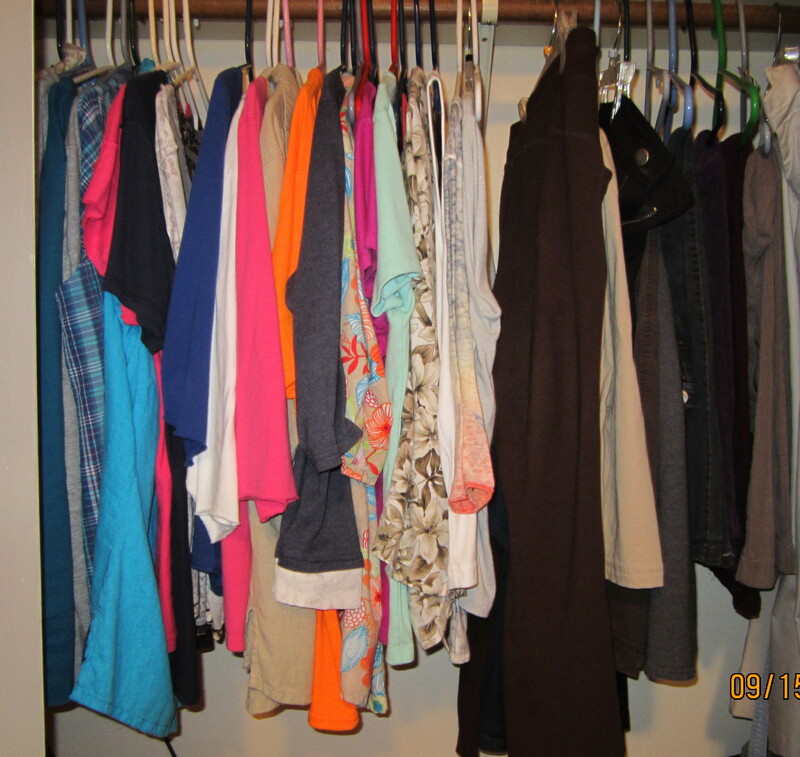 This post reminds me it is not just material possessions in need of sorting, but the spiritual closet too. Like you, I find “multi-layer” is not easy. However, with God all things are possible. Powerful message with your usual flair for writing! Thank you, Pam! Appreciate your added encouragement. Blessings! Nice post Jeanne. I was just writing about Love and how hard it can be at times. This must be the theme of the day. My skeleton in the closet so to speak is showing the virtue of KINDNESS to people I DO NOT like. I have to work on that every single day. God bless! Thanks for your input here and sharing is great. I love the way you wrote this. Really good. Thanks, Jeanne! Lord, clothe us with YOU. Dress us everyday from the inside out. In Jesus’ name. Amen. Amen to that! Tattoo them on my heart if you have to, Lord, just make them part of me used to reflect YOU! Great message. Well wear what you have in your closet, even if it takes some time to fully accessorize. Have a good week Jeanne. Unique way to get a good message across.